Onekama bills itself as a "Two-Lake Town" and appropriately so. Downtown sits on Portage Lake, one of the finest inland lakes in Michigan. 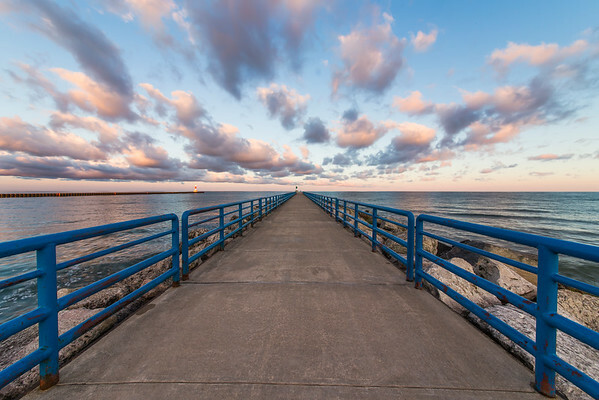 Portage Lake empties into Lake Michigan, creating a beautiful stretch of beachfront known as Portage Point. 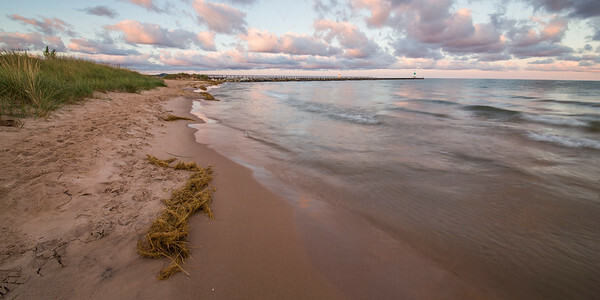 Other attractions include the historic Portage Point Inn and Pierport Beach, one of the least known and most secluded beaches along Michigan's Northwest Lower Peninsula shoreline. Fine art photography of Onekama, Michigan, available as digital downloads with personal or commercial licenses or as prints with lots of frame, finish, and mat options. 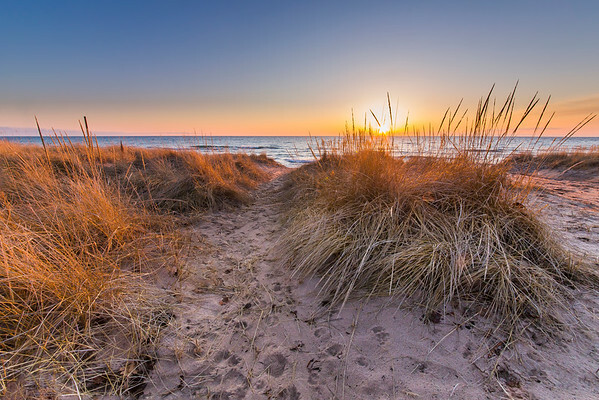 The sun shines through dune grass atop some beachside dunes on Pierport Beach in Onekema, Michigan. This Northern Michigan landscape photograph is available as a digital download or as a print (with many framing and matting options). 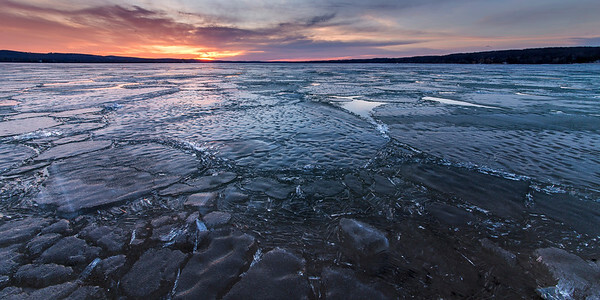 Chunks of ice remain on Portage Lake in early spring as the sun rises over the lake's far shore. This Northern Michigan landscape photograph is available as a digital download or as a print (with many framing and matting options). 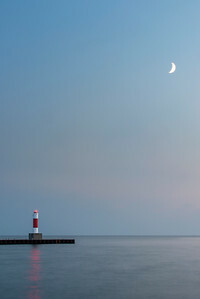 The moon over Oneka pier on a summer evening. This Northern Michigan landscape photograph is available as a digital download or as a print (with many framing and matting options). A late August sunset from the beach on Lake Michigan at Pierport in Onekama. This Northern Michigan landscape photograph is available as a digital download or as a print (with many framing and matting options). 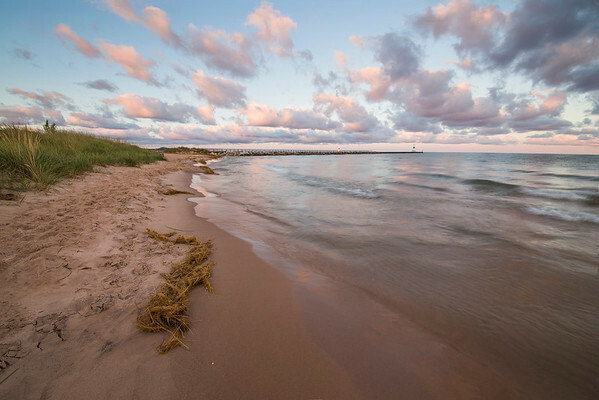 The beach stretches out of sight at Pierport in Onekama along Lake Michigan. This Northern Michigan landscape photograph is available as a digital download or as a print (with many framing and matting options). 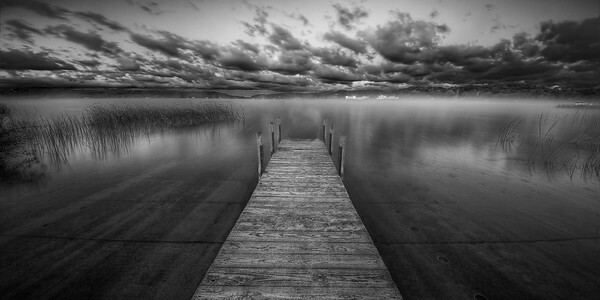 Black and white image of Portage Lake in Onekama, Michigan from the public boat launch looking across toward Portage Point Inn. This Northern Michigan landscape photograph is available as a digital download or as a print (with many framing and matting options). 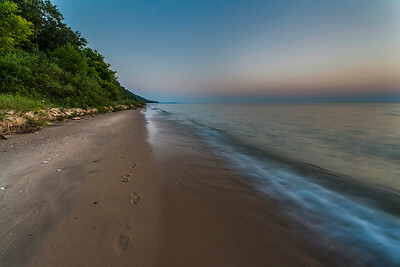 Along the beach along Lake Michigan at Pierport in Onekama, a small stream flows in to the lake as the sun sets. This Northern Michigan landscape photograph is available as a digital download or as a print (with many framing and matting options). Clouds roll in over the pier in Onekama on an early fall day. This Northern Michigan landscape photograph is available as a digital download or as a print (with many framing and matting options). 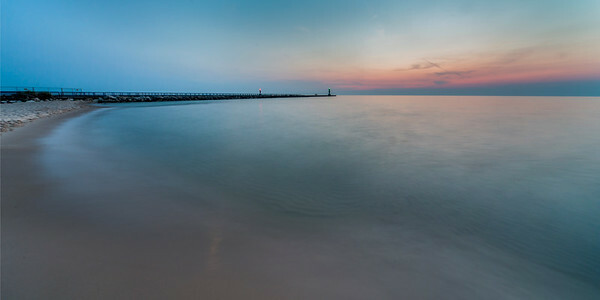 A long exposure image of Onekama's shoreline and pier taken on a warm summer evening. This Northern Michigan landscape photograph is available as a digital download or as a print (with many framing and matting options). 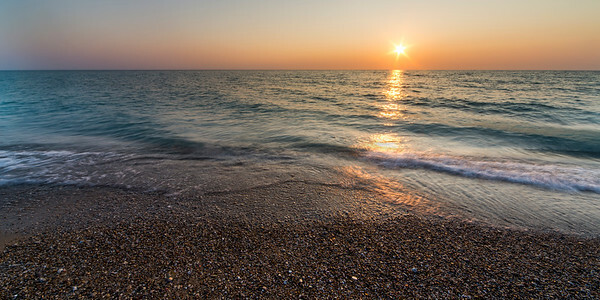 Morning along the Lake Michigan shoreline in Onekama as waves roll in to the beach. This Northern Michigan landscape image is available as a digital download or as a print (with many framing and matting options). 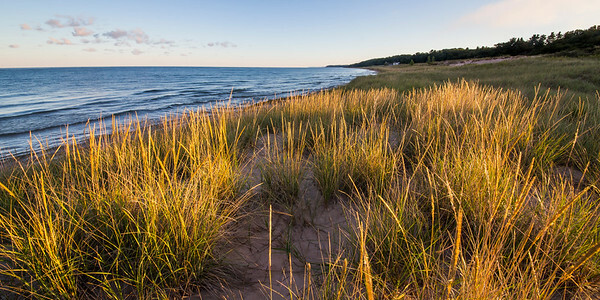 Dune grasses lining the Lake Michigan shoreline in Onekama. This Northern Michigan landscape image is available as a digital download or as a print (with many framing and matting options). 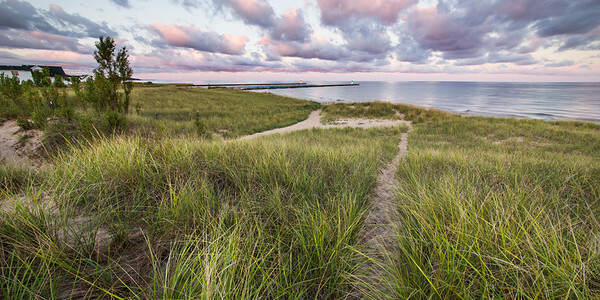 Trails cut through natural dune grasses leading to the Onekama, Michigan shoreline and pier on a late summer morning. This Northern Michigan landscape image is available as a digital download or as a print (with many framing and matting options). 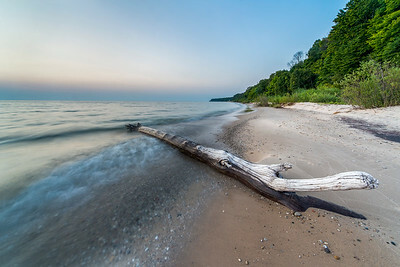 The Lake Michigan shoreline in Onekama on an early fall morning. This Northern Michigan landscape image is available as a digital download or as a print (with many framing and matting options). 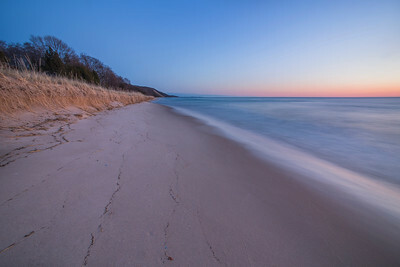 The Lake Michigan shoreline at Purport in Onekama in early spring. This Northern Michigan landscape image is available as a digital download or as a print (with many framing and matting options). 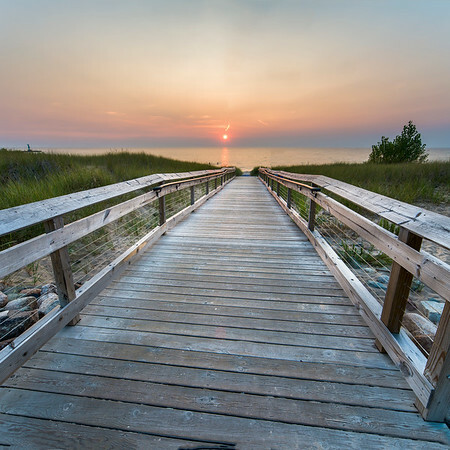 A boardwalk leads to Lake Michigan on Portage Point in Onekama. This Northern Michigan landscape image is available as a digital download or as a print (with many framing and matting options). 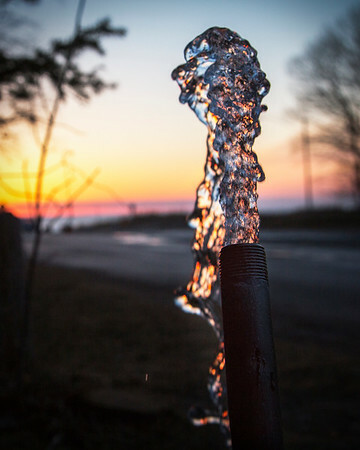 Old Fateful artesian spring in Onekama, Michigan with the sun setting in the distance. This Northern Michigan landscape image is available as a digital download or as a print (with many framing and matting options). A tree has washed ashore on Pierport Beach at sunset. This Northern Michigan landscape image is available as a digital download or as a print (with many framing and matting options). 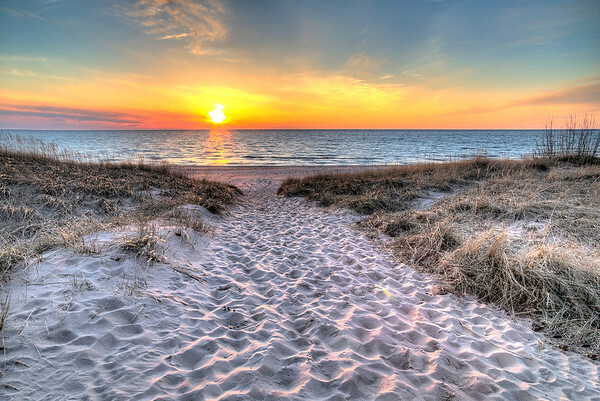 Beautiful Pierport Beach in Onekema, Michigan on a peaceful late spring evening. This Northern Michigan landscape image is available as a digital download or as a print (with many framing and matting options). 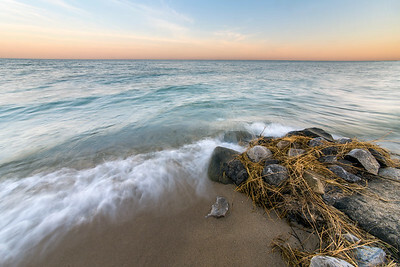 Waves roll in over rocks and dune grasses on the beach in Onekama, Michigan bear Pierport. This Northern Michigan landscape image is available as a digital download or as a print (with many framing and matting options).